The mission of the Labor Campaign for Single-Payer Health Care, which was founded in 2009, is to increase and coordinate grassroots labor support for a Single-Payer Medicare-for-All health care system in America because we believe that health care is a fundamental human right and that the labor movement must take the lead in the fight for health care justice. We work to pass national legislation such as H.R. 676 (the Conyers Medicare-for-All Bill) and S 1782/HR 1200 (the Sanders/McDermott American Health Security Act). We promote a broad educational effort in our unions, communities and among all working people about the single-payer solution to our broken health care system. 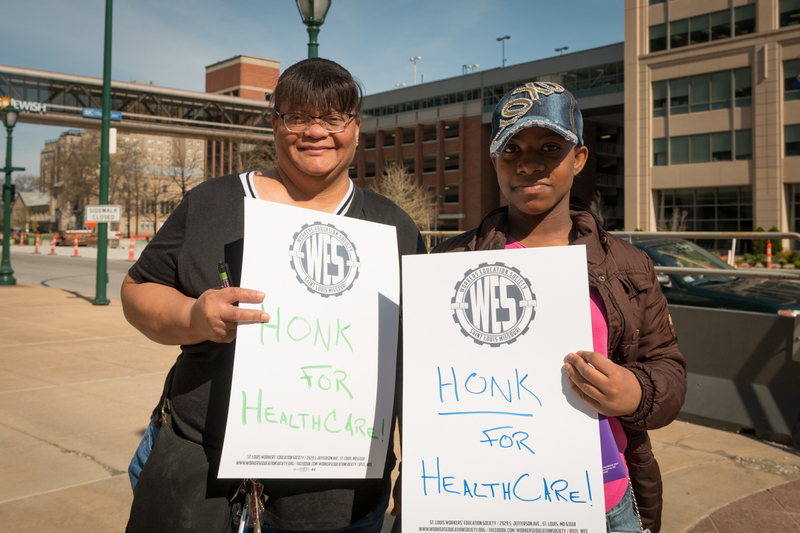 We stand in solidarity with workers everywhere who are fighting for health care justice. We currently count 12 national unions, eleven state labor federations and dozens of local and regional unions among our affiliates. All of our funding comes from the labor movement and individual contributions.